Welcome to the most competitive and flexible musical instrument rental program in Texas & New Mexico! Many parents choose to rent an instrument, especially for students who might want to try several instruments before settling on one. Our rental program makes it easy, with low monthly payments, and instrument repair services. Until you own it, or until you return it, it is up to you. No long term commitment. Simply bring the instrument back to end the rental. We believe that you should be rewarded for your instrument rental. Sign up today! 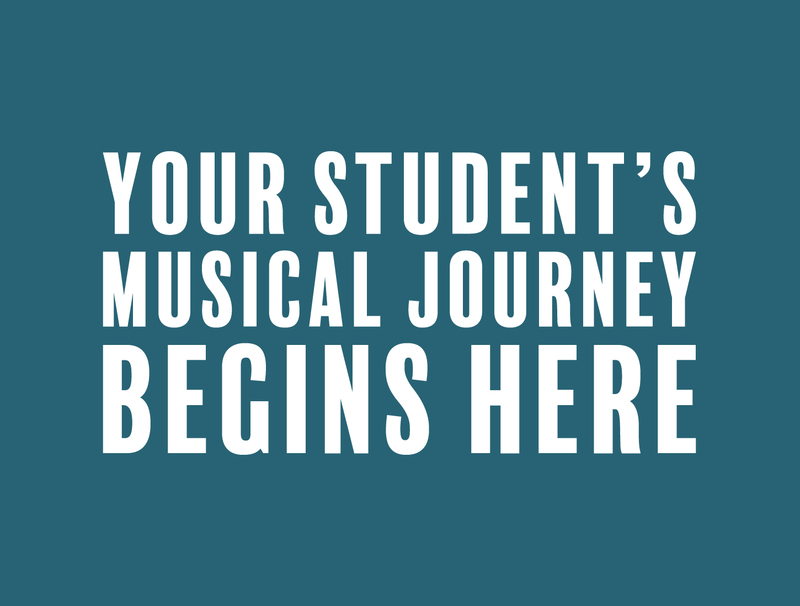 If your student needs to change instruments, we make it easy by transferring your payments over to the new instrument. At any point during the rental you can pay off your instrument balance in full; if you choose to do so, then you will save 30%! With Orchestra instruments it is very important to select the correct instrument size so that playing is as easy and comfortable as possible. How do I size my student for Orchestra? Using a tape measure or yardstick, measure the distance between the middle of the left-hand palm and the player’s neck. Lift the left arm and extend it fully to the side, palm facing upward, fingers flat and straight out. Place the yardstick under the chin, touching the neck and then determine the measurement from the neck to the center of the palm. Don’t allow for any slack. Once you have the size in inches, use the size charts, below, to determine the student's size. For players in between sizes, always select the smaller size. 23 1/4″ – 24 1/2"
Free delivery with one of our Education Rep's weekly visit to your school. Free shipping right to your home. Saves you time and let's you skip the line! © 2019 Tarpley Music Company, Inc. All Rights Reserved.